In this genre is a complex of species, subspecies (and I don't mean forms) strongly related, with a high level of polymorphism. It is the complex of Hyles euphorbiae. 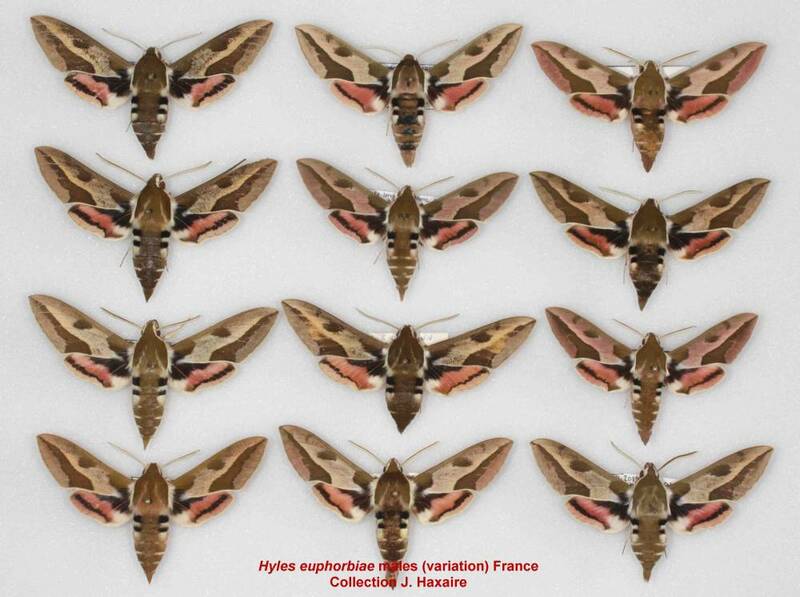 In France, we have only two real members of this complex, Hyles euphorbiae and Hyles dahlii. 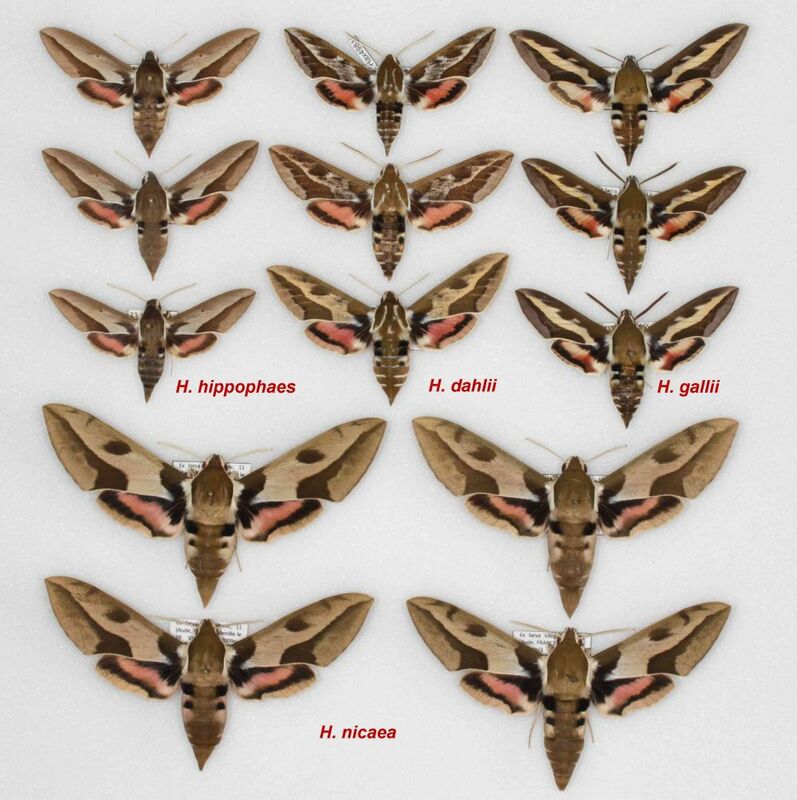 However insofar as Hyles nicaea and Hyles hippophaes are often confused with h. euphorbiae, I propose below a key determination for all our species. A color Board will provide extra assistance for the hesitant. Good luck. Within that genus, we have a complex of species, subspecies (and I do not talk about forms) closely related, with a very high level of polymorphism. It is called the Hyles euphorbiae complex. 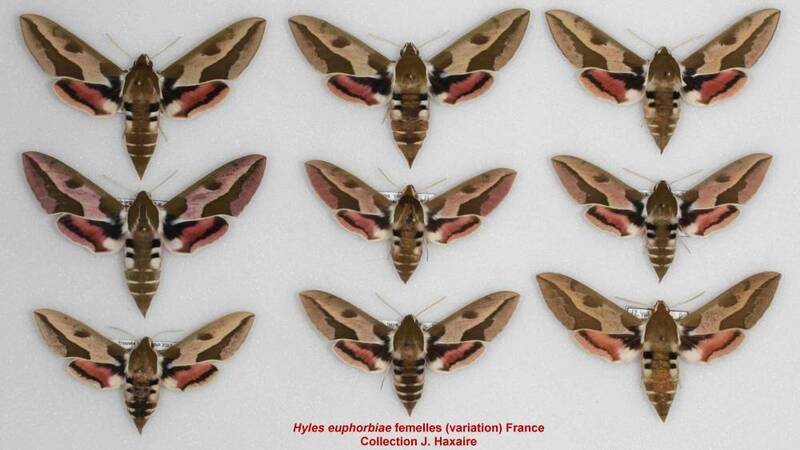 In France, we have only two real members of that complex, Hyles euphorbiae and Hyles dahlii. Goal ACE Hyles nicaea and Hyles hippophaes are often confused with euphorbiae I provide a determination key for all our species. Color flat will constitute a supplementary help for reluctant. Good luck and enjoy. And if my key does not work, please send me year email with a good picture of the uncertain specimen. I will answer quickly. Thanks. If however, you are unable to determine one of your Hyles, send me a good picture of your problematic specimen. I will answer you quickly. Thank you. Now, the challenge of the year (and the following). 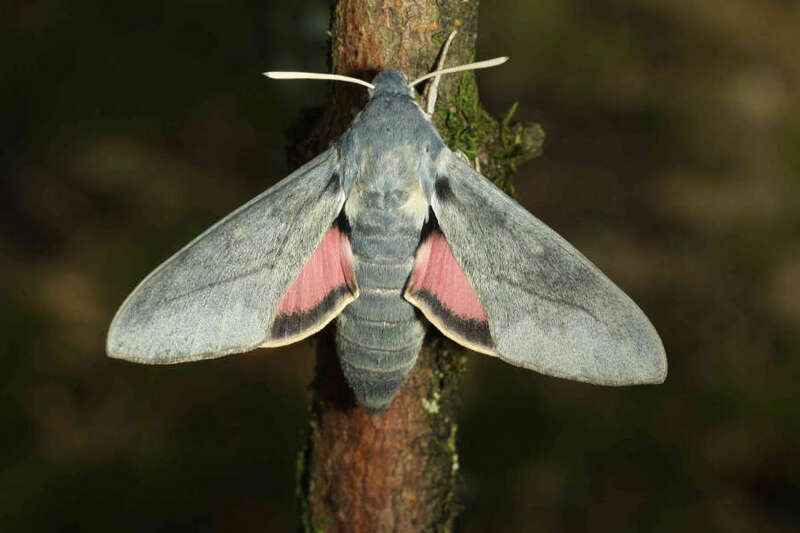 If you read the page "Hyles vespertilio", you know that the presence of this insect in the Pyrenees, reported from a single Caterpillar found near the Lake of gazebos, intrigues me at the highest point. So if you had any information, if you could confirm this, if you had the time to turn on your lights at the right time on this area, I'm strongly interested comments. Thank you. I come back just for this region, and like last year, no trace of the insect. You to play! Newsletter n ° 1 or "Appeal of June 18"